It's thin at 7.9 mm-thick (0.3-inches) – exactly the same as the Samsung Galaxy Note 10.1 2014 Edition but thinner than the Nexus 7 – and weighs in at 246 grams (0.54 lbs). So that makes it thinner and lighter than both the Nexus 7 and Asus' new MeMo Pad HD7. So while this is one we're really looking forward to trying out, the rest of the specs aren't stunning and so it's the £180 ($281 USD, $307 AUD) price point that really defines this tablet's place in the market – aiming squarely at the Nexus 7. Inside is a 1.2GHz Media Tek 8389 quad-core processor which is tasked with running Android 4.2 Jelly Bean. The 350 nit, 1,280 x 800 display, beats the iPad mini but falls short of the new Nexus 7's 1,920 x 1,200 display. So what else does the S5000 have to whet your whistle? There's optional 3G HSPA+ connectivity, a 5MP rear-facing camera, 1.6MP front-facing camera and a 3450mAh battery for up to eight hours of non-stop use over Wi-Fi – there's no word on how long the 3G model will last. Finally, there's also a USB port for expanding storage or charging other devices. 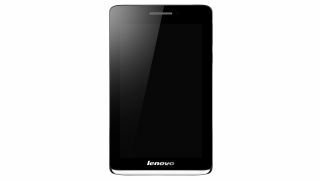 The Lenovo S5000 release date is late 2013.